Rosé is practically inescapable these days -- and that's not a bad thing. While the people that drink pink wine are sometimes "basic," the wine itself is definitely not. 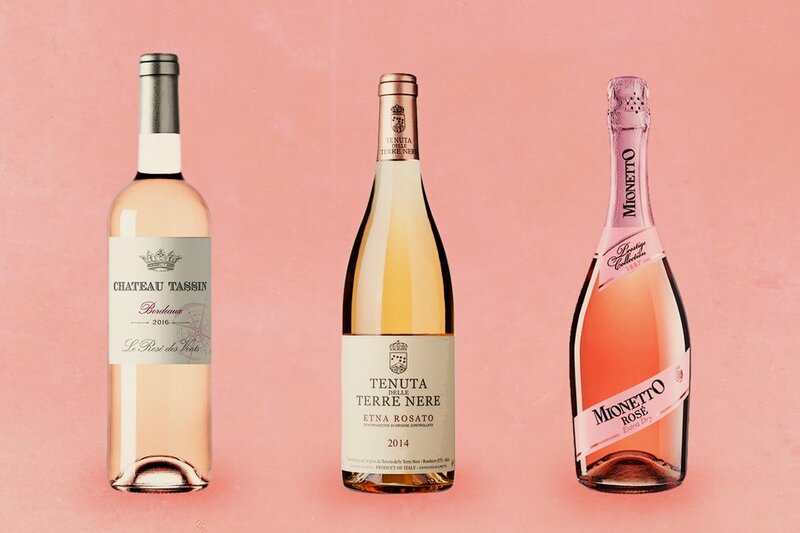 There is a complex and vibrant range of rosés in all shades and styles, making the wine perfect for any occasion -- from hanging out on the beach to hanging out on a yacht, or simply on the couch. Rosé is a session wine (aka lower in alcohol), which means, unlike a dude ironically sporting a romper while downing approximately 30 beers, you'll want to hang out with the bottle all day. Best of all, there are many affordable (and good) options on the market. So as you stock up your fridge and ready your blender to make frosé, be sure to pick up one (or all) of the refreshing and inexpensive bottles below. Fruity, fresh, with a hint of spice, this is the bottle to bring to the party -- even if it’s a party of one. Be sure to buy at least two bottles though, because it tends to go down as easily as water. Mount Etna -- the active volcano in Sicily with vineyards on its slopes -- is hot right now. Literally, because it just erupted in March, twice, but, wines from the region are also making a resurgence on wine lists everywhere. This rosé grew from volcanic ash basically, but it tastes like cherries and wildflowers. Sounds like a win. This may be the only sparkling wine on the list, but let’s face it, it’s never not a good time to pop a bottle of bubbly. The only thing more refreshing than a glass of this fruit-forward, effervescent Mionetto Prestige Rosé would be pouring it over your head. But that would be a waste because it’s delicious. If you're looking for something that isn't too sweet, definitely pick up a bottle of this California wine. Every sip tastes like biting into a good peach but one that is slightly tart. It's light on the tongue and on the wallet. 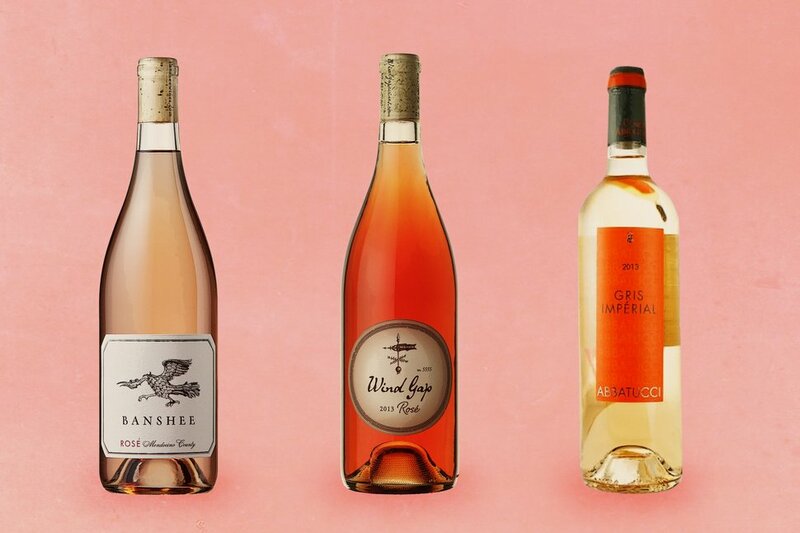 There are few bottles of rosé more popular than Wind Gap, and that is for good reason. It pairs perfectly with food -- especially charcuterie and cheese boards -- making it the ultimate dinner party wine. Do something nice for Mother Earth by drinking this sustainably made biodynamic wine (it's basically the same as organic). You can feel good about your decision to go green while drinking pink. And speaking of green -- the Gris is excellent with spring vegetables, if you feel like doing something good for yourself, as well. Chapoutier is one of the best producers in the region and the wines don’t run cheap, but this rosé is an absolute bargain. You wouldn’t know it from its flavor (a mix of fresh cherries, grapefruit, and pomegranates) though. Provence is known for its versatile, bone-dry rosés, and this one in particular is a great deal. It’s bittersweet, but in a fruit-forward way and will make you feel like you're hanging out in the South of France even if the only place you're actually chilling out is the South of your parent's house (that would be the basement). I’m going to let you in on a little secret: pink port. Port is typically a fortified wine that most people drink with dessert, but this version is vibrant, rich, and fruity. And you don't have to wait until dessert to drink it: The port is good in everything from cocktails to boozy slushies. No good list of rosé is complete without mentioning this particular bottle. This wine is in such high demand that a couple summers ago, Wölffer literally ran out of it, sending the Hamptons into a full blown panic. So maybe hoard this one? Lisa Elbert is a writer and wine expert who has never actually tried White Girl Rosé, despite being a white girl who drinks rosé. Follow her on Twitter + Instagram.